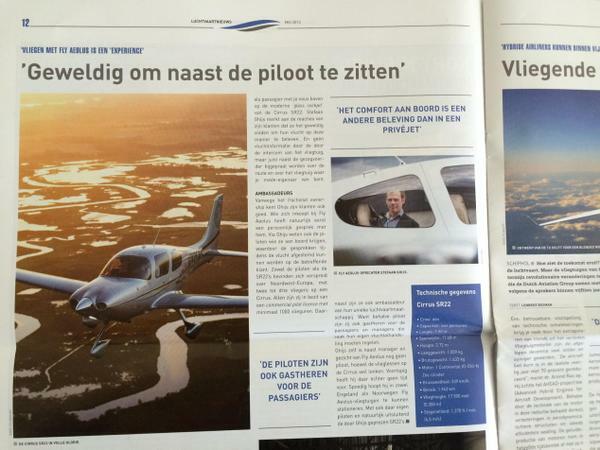 Fly Aeolus has been interviewed for the monthly magazine Luchtvaartnieuws. The dutch magazine brings a comprehensive overview of news from the aviation industry. If there is news concerning airlines, airports, tickets, airplanes they will be the first to announce it. Luchtvaartnieuws has contacted Fly Aeolus with the request to have an interview about the new air taxi service Fly Aeolus developed. Click here for JPG (Dutch). If you are interested to see more from our company you can subscribe to our monthly newsletter, our monthly newsletters provide a snapshot of our recent publications and activities, as well as information on our upcoming events. Click here to add yourself to our newsletter database.